MBC's 'PD Note' responded to the issue regarding Park Bom's age. 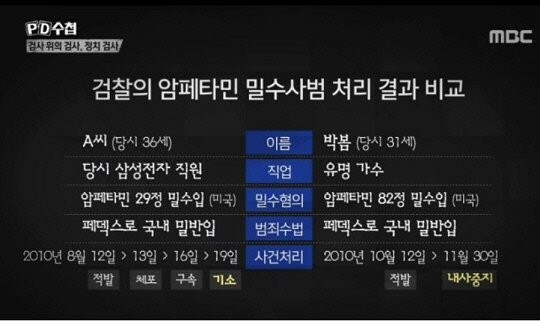 The April 24 episode of the current events shows�dived further into Park Bom's drug case.�In the chart comparing the ruling on Park Bom, and the Samsung Electronics employee who smuggled the drugs, Park Bom's age at the time is listed as 31. 'PD Note' shut down the rumors on her age, stating, "The calculations about her being born in 1979 is wrong."